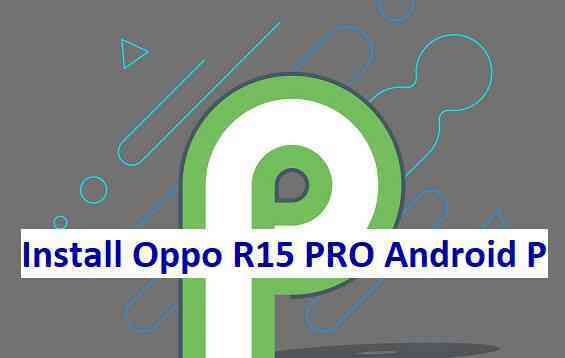 Android P BETA is up for Oppo R15 Pro and here is how to install the Android P BETA on Oppo R15 Pro (Android 9.0). This post provides you the download link to Oppo R15 Pro Android P build and guides how to install that using fastboot or one-click installation method. Make sure you have enough time to go through the guide carefully and update Android P 9.0 on Oppo R15 Pro. Copy the Oppo R15 Pro Android P update file to phone memory. Put the phone into recovery mode. Select the Android P file to be installed and click Install to start the Android P upgrade process on Oppo R15 Pro. Wait for the installation to be complete. – A pop-up message will come up after successful installation to restart the phone. Click on Restart button there to restart the Oppo R15 Pro Android P system. Stay tuned or Subscribe to the Oppo R15 Pro forum For other Android P ROMs, Lineage OS 16 ROM and all other device specific topics. Oppo says that the Android P Preview ROM is only suitable for the Chinese version of R15 Pro. Mine is a double-sim variant bought in Singapore. Does anybody know if it works? What I see from the following link (https://docs.google.com/document/d/1XJciHSidmAw1r8zv95qhj5xm9_faNMYhsvYz0VbmMHY/edit) is that, the Android P BETA for Oppo R15 Pro is primarily built ONLY for Chinese variant and no other. It is not recommended to flash these images to any other variants. If you still want to do that you can unzip the Android P BETA image and flash the system images manually (I hope so). Make sure you create a backup of the software in the phone and also you download a stock firmware image of Oppo R15 Pro, before you make any changes.